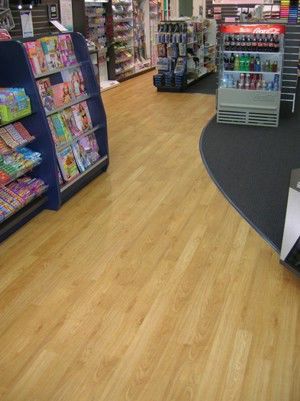 Carpet Options Nambour has a wide range of the latest vinyl & vinyl planks that will give your home a lift, as well as hard-wearing vinyl for commercial environments. It looks so good, it’s hard to believe it’s vinyl! Looks like timber right? Well, it’s actually vinyl. Yes VINYL! Vinyl is a cost-effective, long-term alternative to other hard floor types. 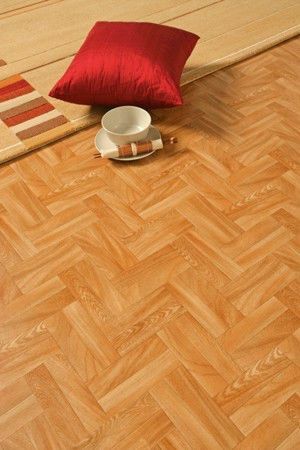 A quality vinyl floor covering can imitate many textured surfaces for a range of different areas in your home, sometimes at a fraction of the price of real timber or slate. Overall thickness does not necessarily indicate quality. Carpet Options has a fantastic range of vinyl & vinyl planks that will give a fresh, contemporary feel to your home or business. Visit our Carpet Options showroom in Nambour to see our samples & displays. Discover the huge range of vinyl choices for yourself. If you only remember vinyl from decades ago—when it was called lino or linoleum—then it’s time to take a fresh look. Vinyl is an amazingly versatile flooring solution. This is 21st century vinyl & it not only looks good but is so easy to keep clean. Vinyl has come a long way… the new products are simply stunning. You’ll be amazed at the variety & choice, the colours, the designs, the patterns. Look, feel, compare! Whether it comes on a roll or as interlocking planks, vinyl is a brilliant solution for so many of today’s residential & business flooring needs. Carpet Options LOVES Tarkett’s new 3-D Interactive Showroom! Tarkett have recently launched their interactive 3-D showroom to showcase their vinyl products as well as their timber laminate flooring products. This is cutting-edge technology allowing you to choose from many different rooms in the home & make a selection of decor styles & themes similar to your own. Then you change the wall colour & choose a floor type, style, colour or design to give you an instant indication of how your chosen Tarkett floor may look like in your home. This 3-D showroom from Tarkett gives you the ability to let your inner decorator diva run wild & target that endless design creativity to try various combinations of vinyl & timber flooring in countless different combinations. It’s easy to see how a lighter or darker coloured floor interacts with different furniture styles & when you bring wall colours into the equation, the choice of floor can readily change the whole ambience & feeling of a room. So, be your own interior designer & have some fun with Tarkett’s interactive 3-D showroom, then visit us instore at Carpet Options Nambour to see & feel the product in the real world. Please be aware that you will be visiting an international website, so all products shown may not necessarily be available in Australia. With a myriad of products to choose from at Carpet Options, we’re sure to have the ideal vinyl flooring solution to suit your needs, style & budget. The pattern layer with aesthetically appealing designs to suit the traditionalists to the dramatically outrageous that are created to complement every decor. A cushion layer that provides underfoot comfort as an alternative to hard floors like ceramic tiles. A stable backing layer that prevents vinyl from curling & allows a loose-lay installation in some areas. 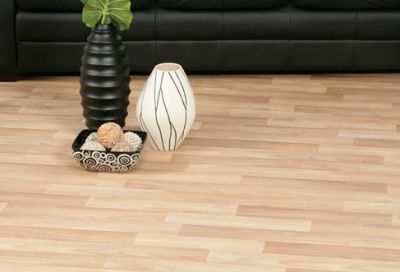 Vinyl plank flooring has all of the design benefits of real hardwood floors, but it is more durable, easier to clean, easier to install, at a fraction of the price, with considerably less material wasted on installation. Great for both residential & commercial application. A 4-metre wide sheet material in a huge range of patterns, this vinyl also captures the beauty of woodgrains for the budget conscious decorator. The water-resistant nature of vinyl makes it an excellent choice for the Kitchen/Dining area in your home at a very affordable price. Sheet vinyl is available in a large range of qualities. This new range of quality vinyl patterns captures the natural beauty of wood (and other natural textures) with a reality that has to be seen to be believed. No concern about moisture & spillages with this product & the soft yet durable surface will provide quiet living without the click-clack of real timber.